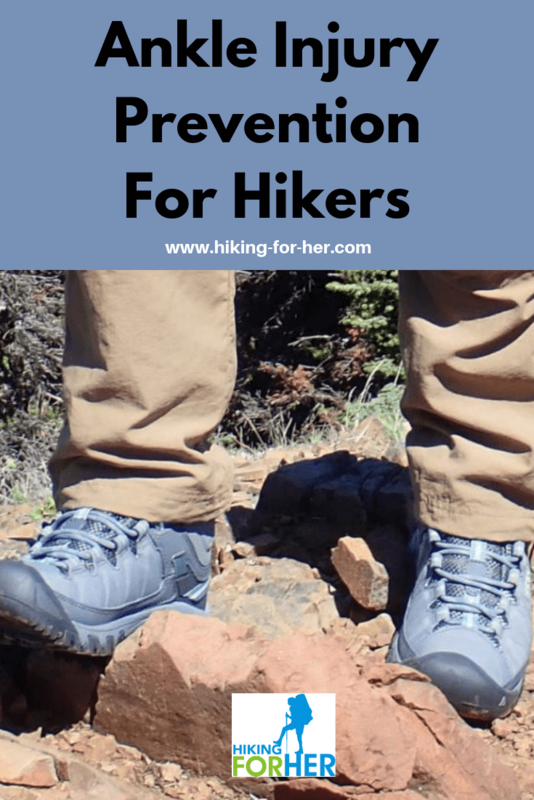 Ankle injury prevention for hikers is a big deal. And it should not be a matter of luck. There are many things you should be doing to protect your ankle joints as they endure the pounding of walking while load bearing (carrying a pack or a baby carrier up a trail, for instance). And if you have sore ankles after a hiker, you've got some work to do! Understand the marvelous talocrural joint, affectionately known as the ankle joint. It's built around one bone called the talus, doing double duty: the talus joins the bones of the calf area (tibia and fibula) with the other foot bones. It's the talus bone which distributes the weight of your body and whatever you're carrying to the bones beneath it in your foot. I find it particularly cool that "talus" is also a geology word to indicate the jumbled rock pile found at the bottom of a steep slope. Some of my favorite hikes involve using my talus bones to cross talus slopes, because that's where pica and marmots live! 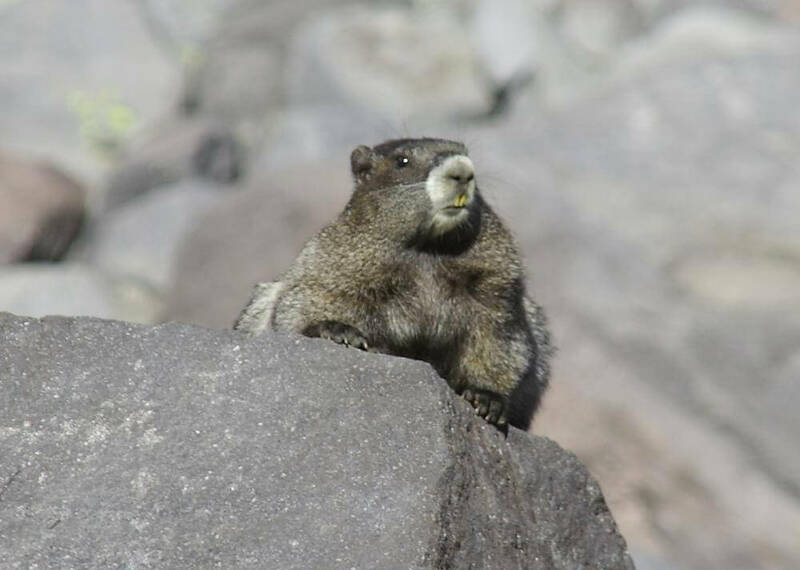 This marmot is in no danger of a hiking ankle injury! But you might be, if you stumble while taking her picture. However, talus slopes can be dangerous to ankles, given the tendency of loose stones to slide beneath the weight of a hiker. It's your ankle joint which allows you to navigate these uneven surfaces, or to recover from stepping into a hole, and generally to give you mobility along the hiking trail. Ever notice how your elbow and knee joints only bend like a hinge, not swivel around like the ankle? Each joint is designed for a specific purpose, and in a highly mobile joint such as your ankle, you want to prevent injuries and retain full mobility so you can keep hiking. Hikers bear a lot of weight from full backpacks, heavy water bottles, carrying children or babies, or having a bit of extra body weight. Some ankle injuries are very common for hikers, so let's take a look at those now. A common ankle injury on the hiking trail is a "twisted" or "sprained" ankle. You haven't twisted the bones, but rather the soft tissue which is associated with this area joining the leg and the foot. Ligaments hold bone to bone, and they can be "maxed out" by sudden or extreme movements (such as stepping into a hole while crossing a talus slope). swelling and heat and redness indicate that the body is flooding the area with chemicals and cells in a protective programmed inflammatory response to heal the ankle injury. Keep yourself off crutches by warming up before each hike: stretch your calf muscles, do some ankle rolls before lacing up your boots, make sure your entire body is loose and limber before tackling a steep section of the trail. You may also hear about ankles strains. These are different than sprains because it's the tendons of the muscles joined to the bone, not the ligaments, which are torn. You will be facing a longer recovery time, because that area is not well served by the circulatory system. For a complete litany of ankle injuries, read this. 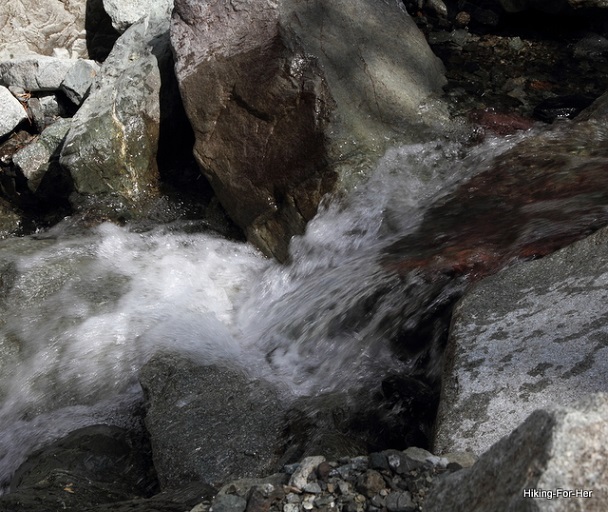 You want to flow along the trail as easily as water flows over rock. to keep your muscles stretched and less prone to pulling their anchoring fibers (tendons) off the bone. Ankle injury prevention shouldn't be confined to a few minutes at the trail head, however. Here are a few tips for incorporating ankle care into your daily routine. When you're lying in bed in the morning, point your toes away from, and back toward, your body. Ah! Feel that glorious stretch? Make it a practice to rotate each ankle in both directions while you're in the shower (just not simultaneously!). As you sit on the bus or endure a long meeting, wiggle your ankles and let some blood get down to your ankle joint by uncrossing your legs. Loosen your tightly laced shoes at every opportunity. Do some "on your toes" exercises when you walk up a staircase - pause, grab the railing, and let your body weight provide some "oomph" to give your leg muscles and ankle joint a good work out as you balance on tiptoe to the count of 10. While still on the staircase, put your toes on the step above and lean in to stretch the calf muscles. Feels good! Ankle injury prevention is a full time job, but doesn't have to be expensive or onerous. A bit of self care, including massage, never hurt the soft tissue of this joint! Be sure you're wearing supportive footwear on the trail, either hiking boots or trail shoes. If you do nothing else: stay hydrated. Soft tissues get brittle and prone to injury if they don't have access to water throughout every day, and not just on hiking days. So give yourself plenty of water! It's a brilliant idea to walk every day, on uneven terrain if possible, to keep your ankles up for the job of dealing with trail conditions. Hikers who "train" by walking or running on paved surfaces aren't doing their ankles any favors when it's time to hit the (uneven) trail. Why do hikers have ankles? To give mosquitoes something to bite! That, and to take us up and down the trail. So ankle injury prevention just makes sense for hikers AND mosquitoes, right?